A Category Two water or gray water leak involves water that is more contaminated than a clean Category One leak which calls for water pipe repair and drying. Category Two water may contain chemicals or microbes and will require disinfection. Find out more about Category Two water and how damage restoration experts clean up this type of damage. Category One water from a broken pipe that is left standing for more than 48 hours before water pipe repair and damage cleanup can degrade to Category Two. Gray water is not as contaminated as black water, but disinfection will still be necessary to limit contamination and mold growth risks. Water damage mitigation and restoration experts recommend quickly cleaning up any type of water damage. The faster that water is extracted, the lower the risk of secondary damage. 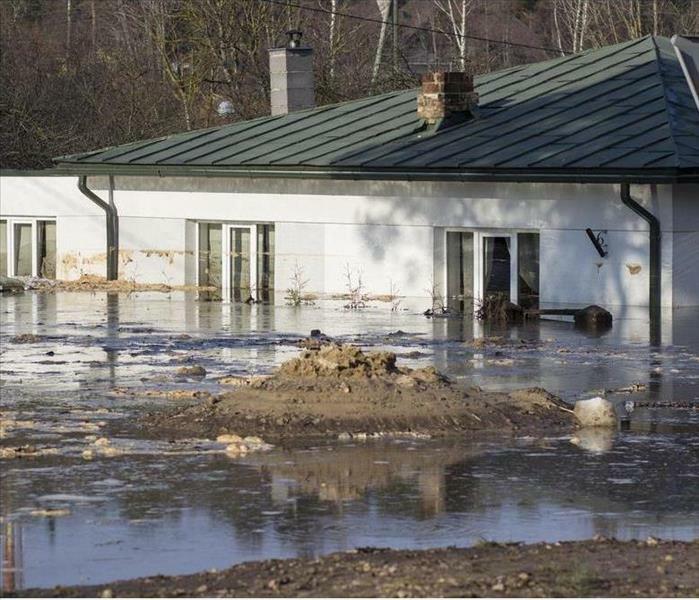 Specialists remove water with a pump or wet vac and tear out any damaged building materials. The flooded area can then be cleaned, disinfected and dried. Air movers or fans can increase ventilation and a dehumidifier can lower moisture levels. Leaks caused by appliance or shower overflows typically involve Category Two water. Gray water does not pose as much of a risk as Category Three black water, but still requires disinfection. As soon as a plumber provides water pipe repair or fixes the cause of a backup or leak, a property owner or manager should arrange for water damage mitigation and restoration at a building in Bountiful, UT. Whether you live in Bountiful, UT or Bangor, Maine, you have probably experienced winter storm damage to your business at some point in the past decade. As excessive extreme weather assaults become more commonplace, preparation for property damage becomes even more important. Tips to help you prevent harsh weather destruction to your property. While checking weather conditions may help you prepare for an approaching storm, it is often too late to prevent potential storm damage such as a pipe break or water in the basement. Here are some property areas to check to avoid problems prior to bad weather arrival. Gutters – Make sure clogs are removed so water can flow freely, and check that connections are secure with no corner leaks. Landscaping – Trim trees away from roofing and clear parking lot of objects that can become airborne and break windows. Roofing and windows – Leaking sealants around windows, skylights, doors, and siding can allow water damage during a storm. Utilities – Surge protectors and portable generators help keep data safe and employees warm during even the worst storm. Power outages often come with huge winter storms. When that happens, your business may be without heat for days. As snow and ice build up on roof tops and frozen pipes burst, the potential for damage can become catastrophic. For this reason, consider calling a professional at the first sign trouble. A restoration team may know just how to handle even the worst winter conditions before severe damage occurs to your building’s structure. By being aware of the condition of your building and considering repairs to areas of concern before storms occur you can help prevent property destruction. Sometimes Mother Nature can win in Bountiful, UT, but by being aware of weather conditions and preparing for possible damage, you and your employees can stay safe and warm during even the worst winter storm. SERVPRO of Bountiful responds quickly, 24 hours a day. 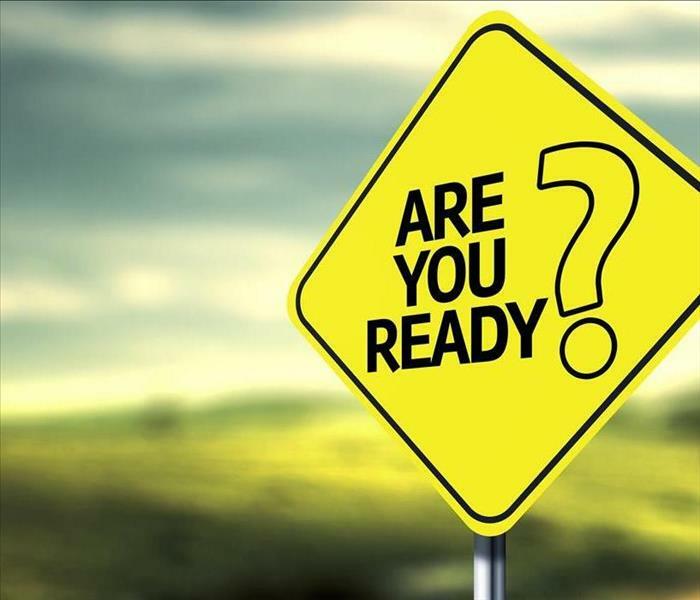 Whether the damage occurs in a small business building or a big box store, we have the training, experience, and equipment to handle the situation. Storm Damage can be devastating for the homes in Bountiful, UT. As a homeowner, you do not plan for your home in Bountiful, UT, to flood, but if it does, it is important to know the critical first steps to take. Your home adjuster is tasked with assessing the damage. If there is visible damage to the house itself, you need to make note of it. Make a list of every wall that has signs of water damage. 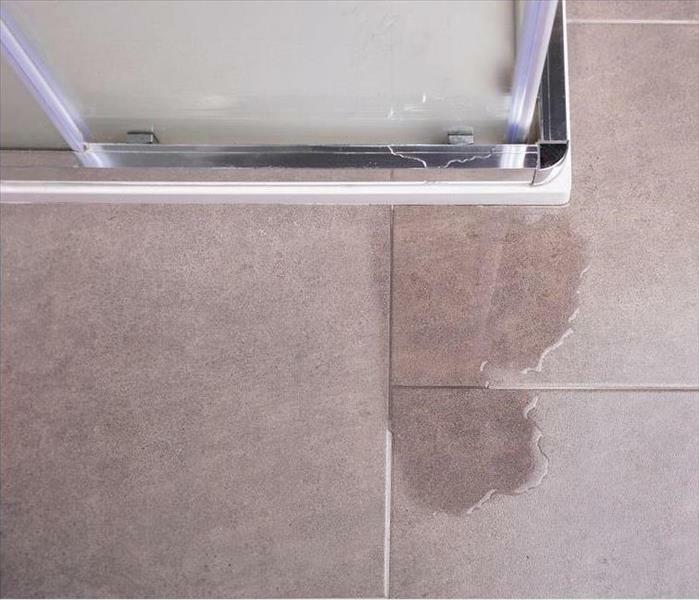 Check your floor for warping or missing tiles. If there are cracks in your walls or in your foundation, put that on the list as well. Take pictures of everything you write down to back up your statements. It is advisable to contact professional water damage restoration technicians to get an estimate in writing of how much the repairs to your home are going to cost to give to your home adjuster. The insurance claim you file is likely to include damaged items in your home. Make an inventory of everything that needs to be replaced as a result of the flooding. Beside each item, list when you purchased it and approximately how much it would cost to replace it. Keep the damaged items and take digital pictures so you can print them out or email them. Once you have compiled an inventory of the damage to your home for your insurance claim, make a copy for your records before you hand it off to the home adjuster. That way, if there is a discrepancy between what the adjuster finds and what your records show, you have your own proof. Ensuring that you and the adjuster have the same information may help your insurance company settle your claim and get your home back to normal more quickly. IF you have any questions, please give us a call at (801) 298-4272. SERVPRO of Bountiful has a 24 Hour Emergency Service to answer any questions and help you. 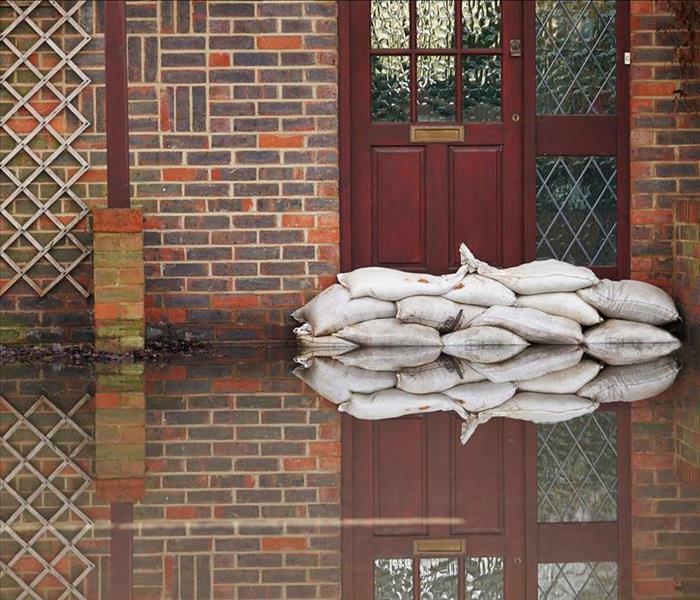 Flood Damage can leave mud and debris behind in your homes. Flooding in Bountiful, UT, can wreak havoc on your home, especially when it comes to the mud, sludge and debris it leaves behind. Cleaning walls, floors and all your belongings once the waters recede can seem like an impossible task, especially if you must follow specific cleaning requirements from your insurance company, city or state. Steps you can take during flood cleanup that may make the process simpler. Once you call your insurance agent and a storm damage and flood restoration company to handle the drainage and disposal of contaminated flood waters, you can begin cleanup efforts by creating a flood disinfectant for your home’s hard surfaces. Use clean scouring pads and a maximum-strength cleanser on your kitchen counters and other surfaces, then disinfect them with bleach or other germicide diluted with hot water. Remember to ventilate the room when you work with these chemicals and wear a mask and gloves to protect yourself. Once your surfaces are clean, you can move on to your dishes, silverware and canned goods. China, glassware and plastic utensils can be soaked in hot water treated with disinfectant, while metal silverware and cookware can be cleansed by immersing them in boiling water for 10 to 15 minutes. Avoid using bleach on metal surfaces, as it may cause your items to stain or discolor. Remove labels from your canned goods, allow them to soak in disinfectant and then air dry before you re-label them. If you are following specific cleaning requirements from a local authority, it is important that you understand which items can be salvaged and which must be thrown away. As you flood clean, make piles of items that can be restored, such as non-porous toys and tools, and throw away mattresses, soaked bedding and plastic toys that may have absorbed contaminated water. Flooding in Bountiful, UT, can leave behind mud, debris and soaked belongings. Following your city’s cleaning requirements and knowing where to begin may make the cleanup process simpler and give you peace of mind as a homeowner. If you have any questions, please give us a call at (801) 298-4272. 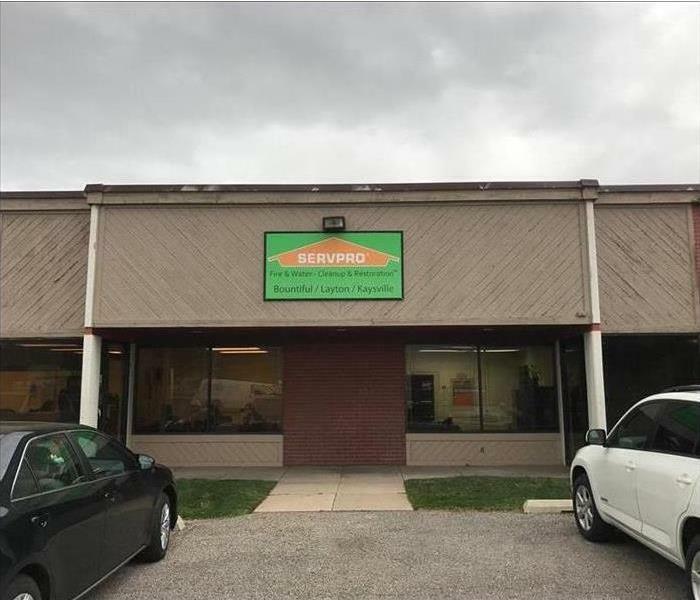 SERVPRO of Bountiful technicians will respond immediately, day or night, to help Bountiful business owners and residents. Schedule regular pipe maintenance to keep plumbing systems in good working order and avoid damage to your commercial buildings. Commercial buildings often have large plumbing systems that are under incredible pressure almost every day. Because of the extensive network of pipes, plumbing problems can cause much more damage than pipes in smaller residential home systems. Commercial problems can also be costlier since repair costs may be exacerbated by lost business expenses. Being proactive by scheduling regular pipe maintenance in Bountiful, UT, can keep plumbing systems in good working order. Precautions to take to help protect your building. Toilets and drains can become clogged in a busy building because they are in constant use. The obstruction doesn’t generally occur all at once and can be anywhere between the water main and smaller indoor pipes. For that reason, watch for slow draining or an area in constant need of plunging. Since a dirty water backup or spillover could contaminate the area with category three flood water, prevention is essential. Have a maintenance worker or a building employee check restrooms and kitchens regularly to catch clogged drains or slow tank emptying issues. Being proactive about plumbing problems can save time and money. SERVPRO of Bountiful has a 24 Hour Emergency Service and we can answer any questions you may have regarding Commercial Plumbing Problems. Mold spores in the air tend to settle on surfaces that have lingering water. You may have the mold growth removed, however, only to find that it returns to the exact same spot. There are several reasons why this might occur in your commercial property in West Bountiful, UT, and identifying the cause is essential to preventing repeat growth from occurring. High humidity levels in your building can create the ideal environment for fungus. 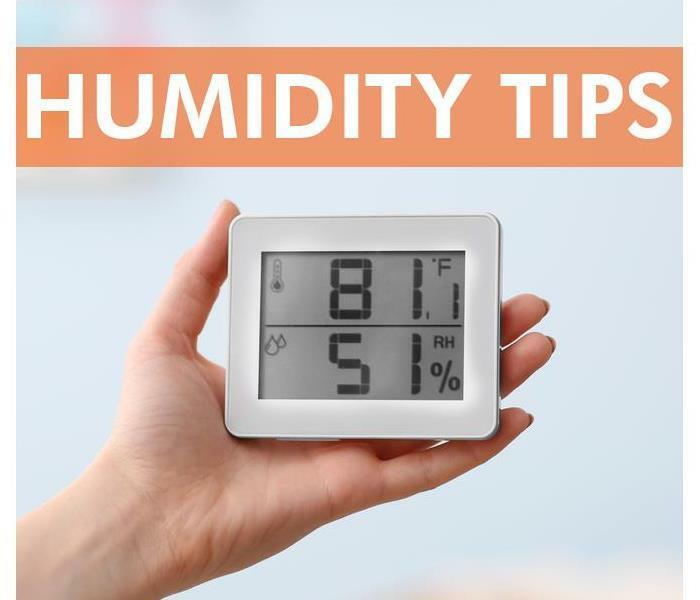 You can place several dehumidifiers in various locations around the building to bring the level down. By maintaining 40 to 50 percent humidity in your building at all times, you can lower your risk of mold growth. The growth pattern of mold can make it hard to get rid of for good. Not only does it grow across a surface, but it also tends to grow down into the item on which it thrives. Hyphae are the tendrils that branch into the pores of the affected item. Even if you clean the surface with detergent and a clean cloth, mold may return. Only thorough professional mold remediation is able to extract hyphae out of the crevices into which they grow. Water damage that has not been properly remediated is another likely cause of the return of mold patches to a previously affected area. Mold can start to grow in as little as 24 hours after damage has occurred. The best way to prevent secondary damage is to repair the structures quickly. As soon as you know that a leak has saturated your floors, ceiling or walls, you should call professionals to have the problem remedied. Just because you can't see mold, that doesn't mean it won't return. Once you eliminate causes such as humidity, incomplete remediation and water damage, you are more likely to be able to prevent future mold growth in your building. When natural disasters hit or water pipes burst, property owners are often desperate to get things back to normal. Unfortunately, in the rush to get services, these people are often scammed. It can be difficult to distinguish between a scammer and a legitimate business. However, the Institute of inspection, Cleaning, and Restoration Certification (or IICRC) is a non-profit organization that sets the standards for cleaning and restoration companies. An appropriate designation from the Institute sets reliable professionals apart from unsavory individuals. The organization provides certification for those companies that adhere to specific health and safety industry standards. The Institute is accredited through the American National Standards Institute (or ANSI) and works with international associations to ensure consensus-based standards. What Does It Mean for a Company To Be Certified? If a company has earned a cleanup and mitigation certificate, it means that the company's technicians have been trained in specialized areas. Cleaning certifications include specialties in carpets, floors, leather, stone, ceramic, upholstery, and wood. Inspection certifications cover carpeting, ceramic tile, subflooring, stone, marble, and wood laminate inspections. Restoration certifications may cover measurement of humidity levels, health and safety compliance, mold remediation, smoke and soot treatments, and many other options. For each certification, technicians participate in classes and pass standardized exams. Once the training is completed, technicians must continue to participate in courses to maintain their certifications. Why Is It Important for Companies To Earn These Designations? When cleaning, restoration, and mitigation professionals complete classes and become certified with the IICRC, clients know they can trust the quality of work they'll receive. 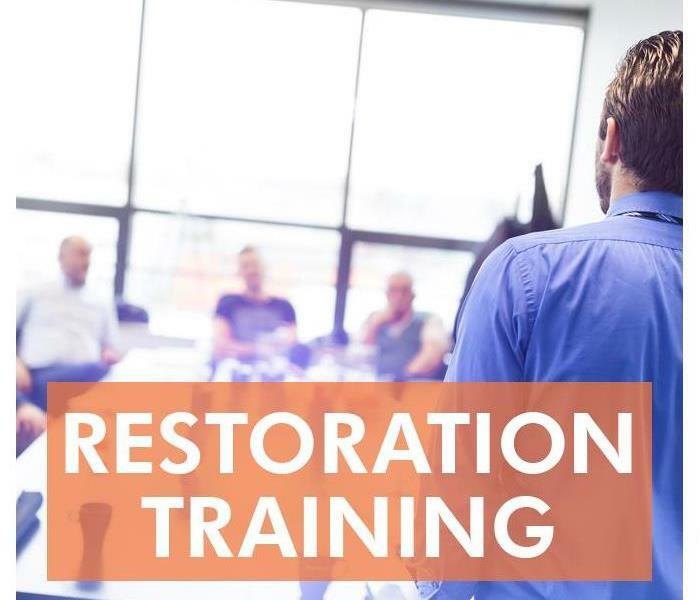 Technicians with this training use up-to-date methods and equipment, understand the best restoration methods, and work to stay current with industry standards. Some cleanup companies don't seek a mitigation certificate. The professionals hired by those companies may do great work. However, when a remediation and restoration company earned the designation, there's a certain amount of confidence that clients value. An IICRC certification can go a long way toward helping Centerville, UT, clients feel comfortable with cleanup professionals. Clean water can become contaminated in a variety of ways. Chemicals, microorganisms, soil or solid waste can cause clean, treated Category One water to degrade to Category Two gray water or highly contaminated Category Three black water. Learn how to mitigate damage caused by any category of contaminated water. The sooner that clean water is removed, the more likely it is that only drying will be necessary. Damage that involves contaminated water will require disinfection. 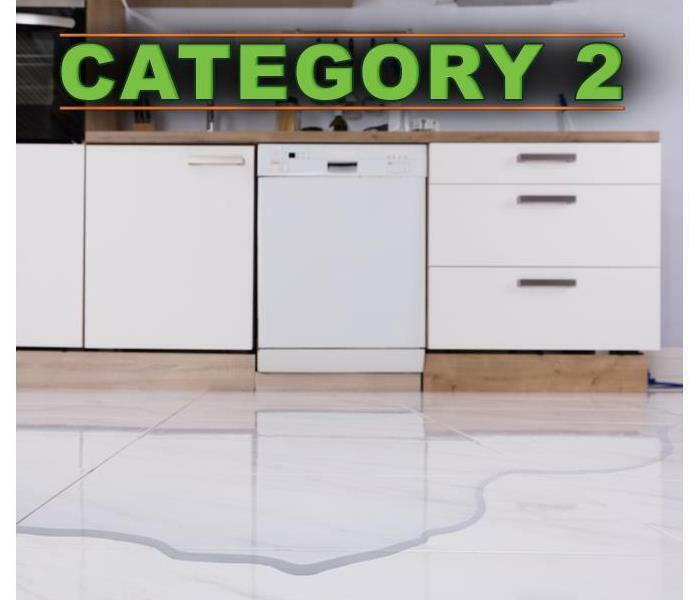 Category Two water damage may result from an appliance leak, a backed up or leaky shower, a broken toilet or a malfunctioning sump pump. Any materials or contents exposed to gray water should be disinfected. Category Three water damage is usually caused by a sewer backup or flood. This water is highly contaminated and contains solid waste and other contaminants. This is the most severe category of water damage. It may not be possible to completely clean materials and contents saturated with Category Three water. It is safer to dispose of and replace these materials to limit contagion and mold risks. Regardless of the category of water damage, it is important to act quickly to remove water from a residence in Woods Cross, UT. Timely mitigation can limit primary damage and help to prevent secondary damage. Homeowners should rely on a mitigation and restoration service with the experience and equipment needed to clean up contaminated water. If your North Salt Lake, UT, home has faced water damage, then you may be worried about black mold. Understanding what mold is and how to deal with it can help you take proper prevention steps. Here are a few things you may want to know. In most cases, mold grows best in areas of high moisture. Any place that has experienced water accumulation or damage can become a habitat for mold. Fortunately, there are many ways for professionals to deal with the problem. 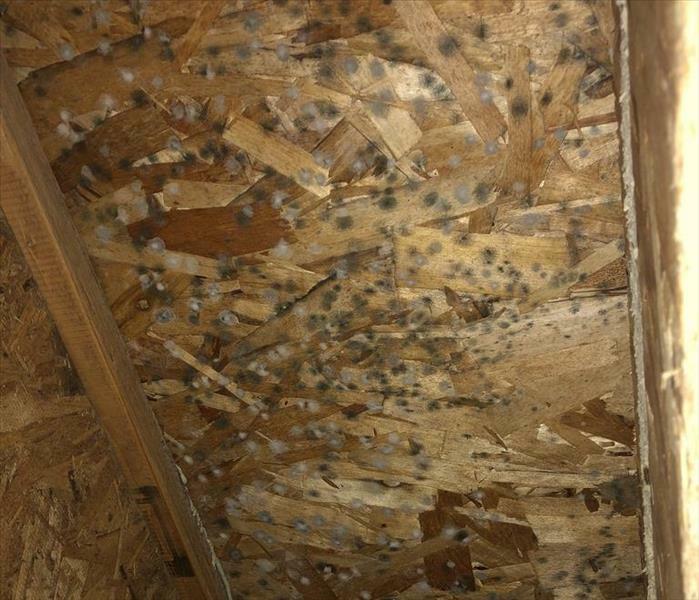 All mold, including black mold, is considered to be a fungus. This means it is spread by spores and grows best in dark and damp locations. This can include inside walls and other unseen locations that can accumulate moisture. Fortunately, there are several tests that can be performed by your local remediation professional to determine if mold is in your home in the event it cannot be seen. If you find mold in your home, then you may want to contact a mold remediation professional. They can remove the mold and take preventive measures against future problems. In many cases, a mold remediation service can also clean your items as well. These professionals can also teach you what to look for and how to keep mold from returning. When dealing with black mold, proper mold cleanup and remediation steps are important. Knowing that locations where mold is likely to grow, understanding what it is, and having an idea of what to do when you find it in your home, can help you take care of this problem. Remember, if you have any trouble, a professional can help. They seem to be pillars of the community and are nice to have around. They look good doing the small jobs but how effective could they be in a regional emergency? Looks can be misleading. That small company is one of many similar businesses around the country. At last count, there were more than 1,700 of them. Every one of them works locally, just like the one near you. When disaster is imminent, their corporate office activates the Disaster Recovery Team. In a flash, that team turns those local hometown experts into a regional task force. The recovery team is the communications center. It coordinates the activities of the task force and temporary labor brought in to assist with the storm damage. Not all emergencies require a regional response. They also have smaller storm response teams positioned at strategic locations around the country. Those teams provide the same support as the corporate team, but on a smaller scale. These storm teams also play a role in larger regional disasters. They provide an intermediate level of control and operate as mobile command centers. You now understand what makes that small cleaning and restoration business so special. They really are disaster recovery specialists. When fire, water or weather damages your home, you now know who to call. Those local cleaning and restoration professionals are ready to handle your problem. When they finish with the damage, your home will look “Like it never even happened." 4/17/2019 - Is Category 2 Water Contaminated? 3/18/2019 - How Does Water Become Contaminated?